Do family and friends like to gather at your place for Easter? Does it sometimes seem as though you spend all of your time working instead of enjoying the Easter holiday and your guests? Don’t stress out over the details! Keep it easy on yourself with these 6 tips! 1. Choose A Simple Menu. 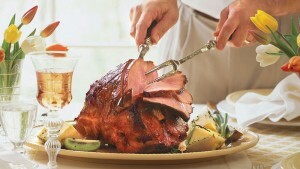 Go with one of the classic meat choices — ham or lamb. Easter dinner is no time to experiment with a new recipe. Stay with what works and what your family always looks forward to! Choose a potato or rice dish everyone loves and you’ve got the two main dishes already covered. Which leads me to my next suggestion . . .
2. Ask Everybody To Bring Something. 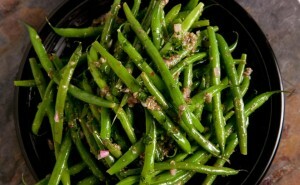 Have your guests contribute side dishes like appetizers, salads, vegetables or dessert. At family dinners everyone loves to bring something and it will make your time in the kitchen minimal so you can spend more time with your guests. 3. Have Beverages At-The-Ready. 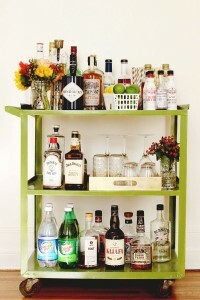 Making sure the bar is well-stocked and the refrigerator is full of beverages like water, juice and soda is an easy thing to do ahead of time. Make sure everyone knows where to find their favorites and then sit back and let everybody serve themselves. 4. Make Your Decor Simple Yet Elegant. Easter is not just a religious holiday, it’s also become a celebration of the arrival of spring. 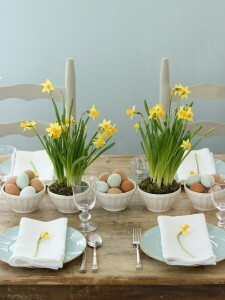 So, look to the flowers of spring such as tulips, daffodils and hyacinth to make your table look festive. 5. Don’t Forget The Kids! Nothing’s more fun for kids (or their parents!) than a traditional Easter egg hunt. 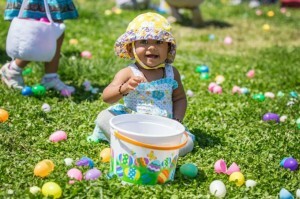 Make it easy on yourself and buy plastic eggs that are already filled with candy or a toy. Easter egg hunts not your thing? Then, hard boil a couple of dozen eggs, provide dye or markers (maybe some stickers, too) and let the kids get crafty! 6. If Weather Permits, Get Outside! The kids aren’t the only ones who like to get outside into the fresh air on a holiday. If weather permits, set up the volleyball net or croquet set and watch the fun begin. 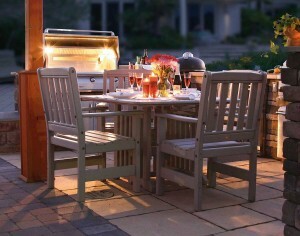 Easter entertaining is also a perfect excuse to do your very first outside entertaining of the season. You can do drinks and appetizers or even, weather permitting, serve Easter dinner at a comfortable dining set on your deck or patio. Your friends and family will love it! For a stress-free Easter, plan ahead to have your easiest Easter ever!